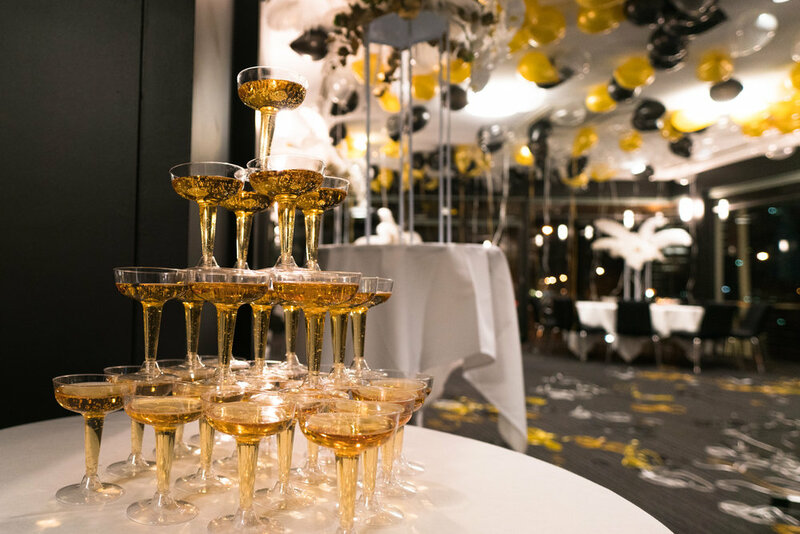 What an absolute pleasure it was to style a fantastic Great Gatsby themed birthday for Elyse and her guests! 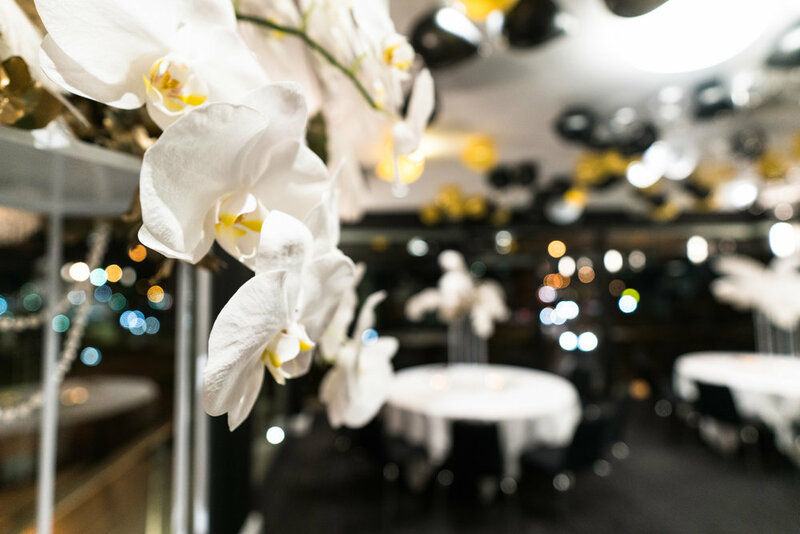 Set at The Strand in Williamstown, the second-floor event space overlooked the beautiful water back towards the glowing lights of Melbourne's City. 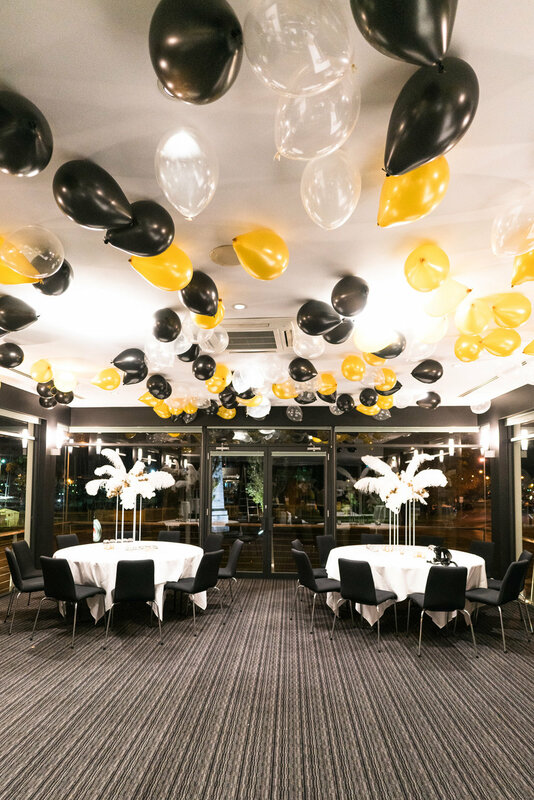 The room had a ceiling covered in balloons with a cocktail style settling of high bar tables, furnishing and props to really give the room that party vibe. 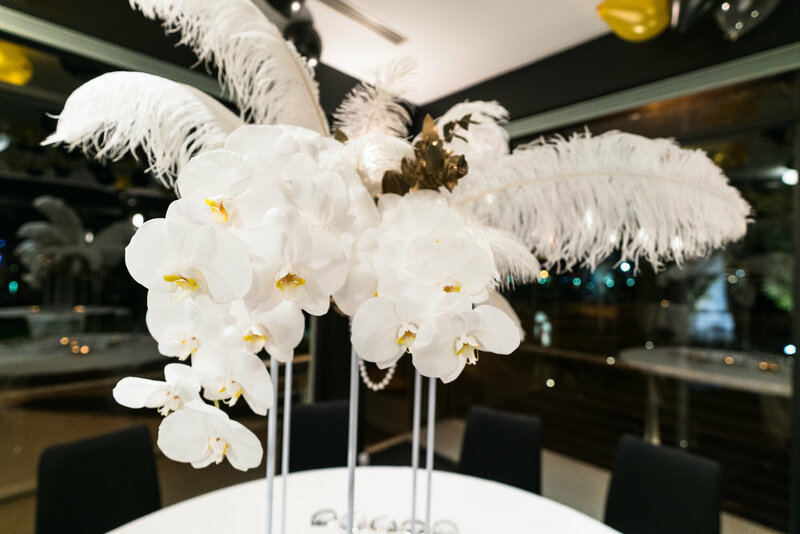 Tall centrepieces of Orchids and Feathers with hints of gold made one of many fabulous focal points for the room. 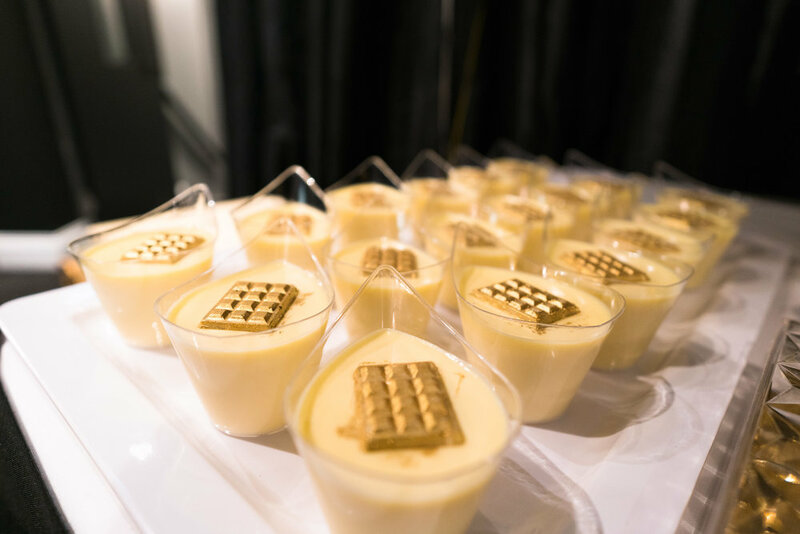 Vintage props from the era were sourced and worked into the event, along with a gourmet dessert bar, champagne tower and Photo Booth. 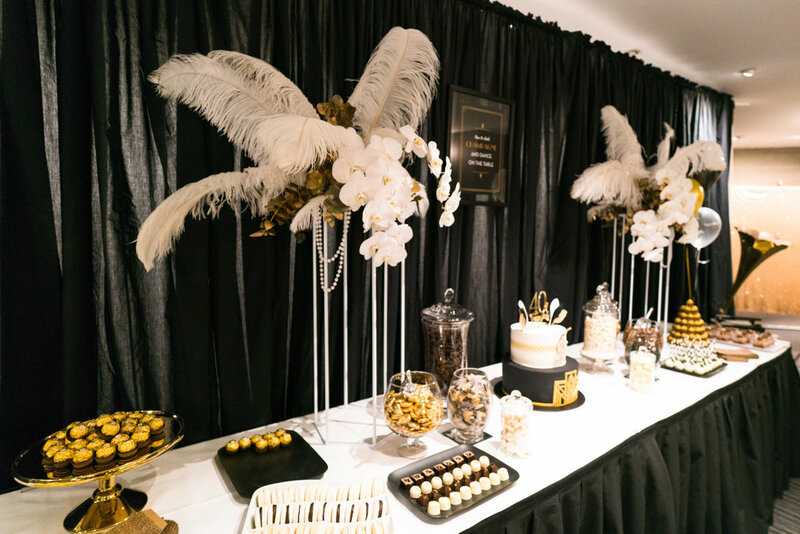 But the theatrics of this Great Gatsby Soiree didn't stop just at the styling. 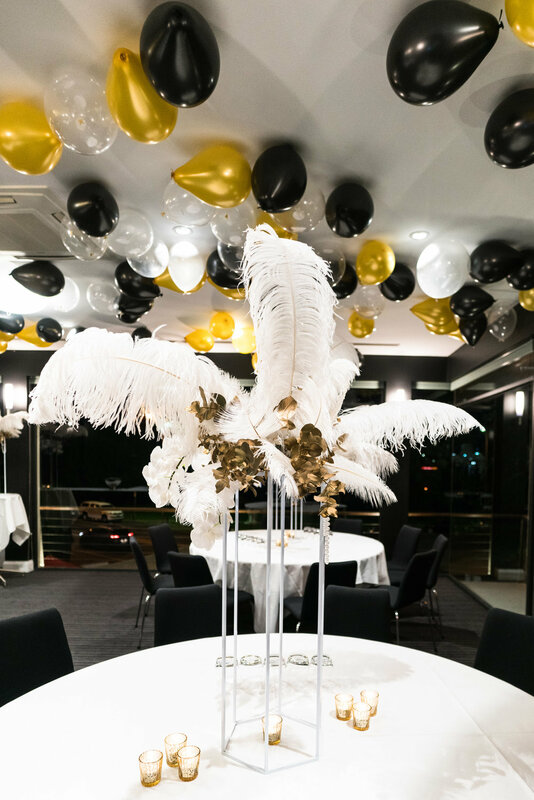 Gatsby dancers, a mime and a dress-code to suit all tied the event together wonderfully. 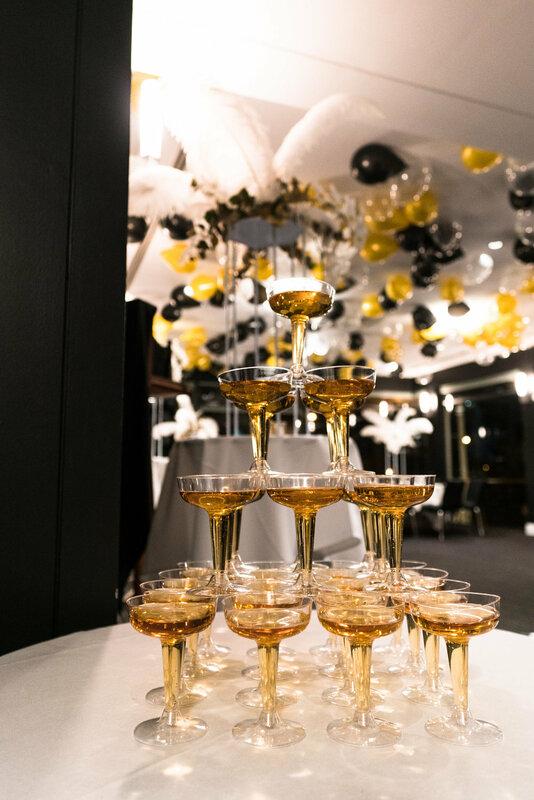 Elyse, we had such a ball styling your Birthday for you.